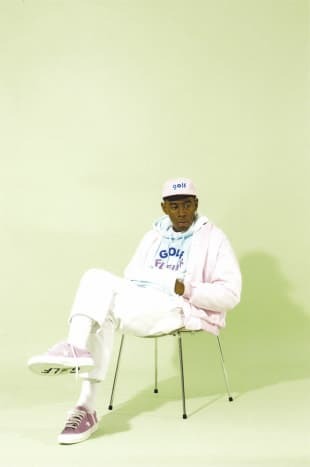 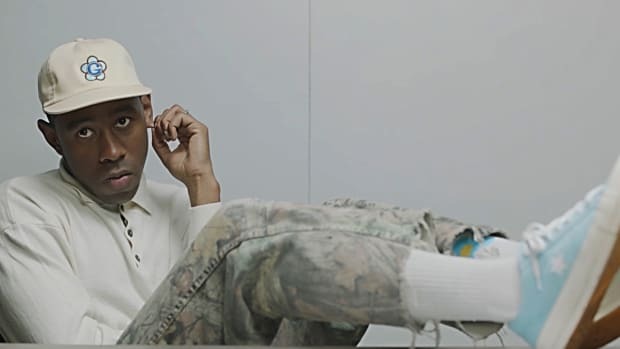 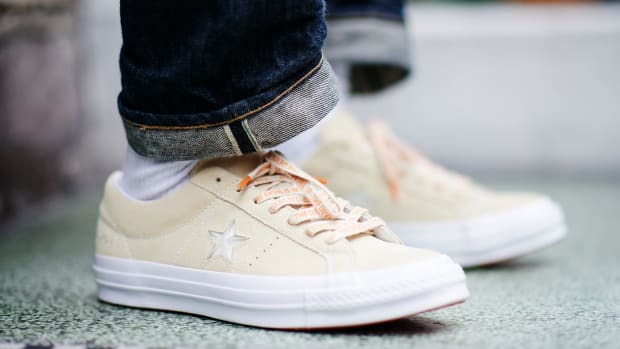 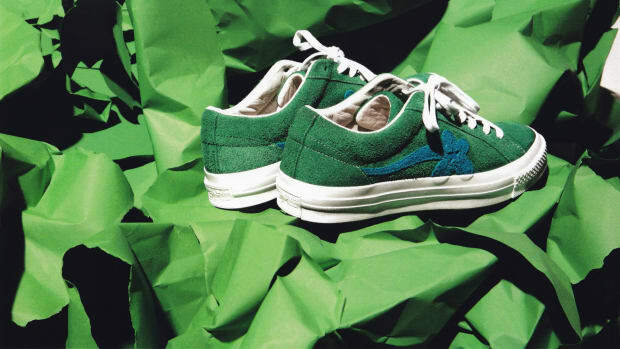 Having kicked off his partnership with Converse earlier this month with the limited release of the "Clearwater" One Star, Tyler, the Creator is readying his followup effort with the sportswear giant. 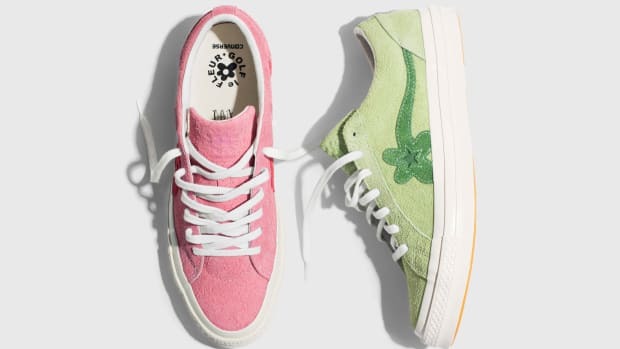 The release -- dubbed the One Star x Golf le Fleur collection -- features four colorways of the One Star sneaker, as well as accompanying apparel in the form of pull-over hoodies and graphic tees. 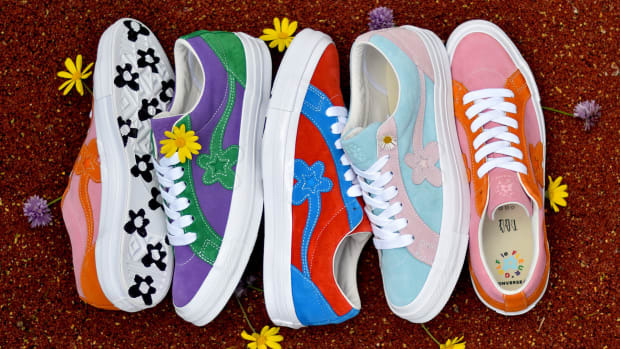 As for the shoe itself, expect suede construction in Blue, Peach Pearl, Sulphur and Fuschia Glow color schemes. 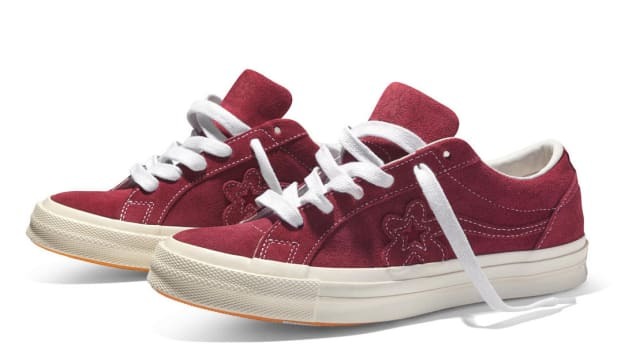 Along with interchangeable tonal laces, each pair features flower stitching around the star, as well as an embroidered bee logo on the heelstay, a debossed Golf le Fleur logo on the tongue, and Golf le Fleur artwork on the sockliner and outsole. 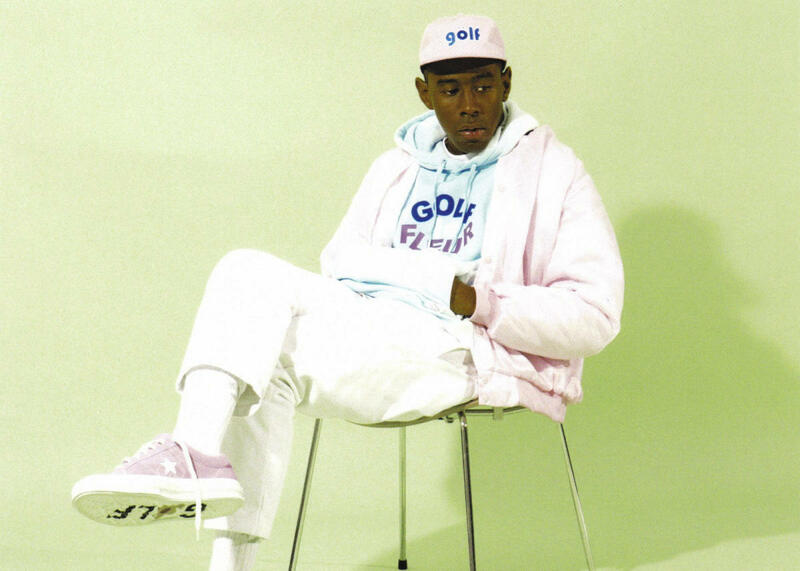 A special inscription from Tyler also appears on the sockliner and outsole, reading "Don&apos;t let &apos;em kill your flowers, water your garden and stunt." 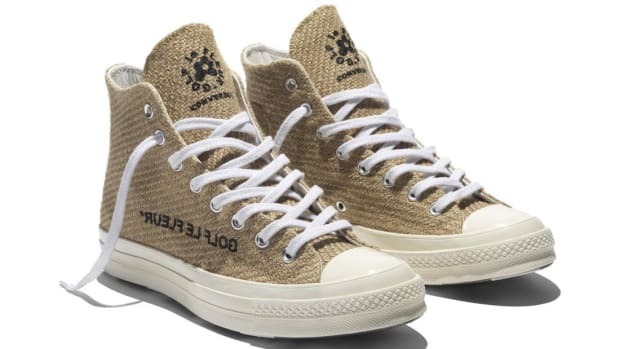 The kicks launch August 3rd at Converse retail stores and converse.com.